Dell World is moving into Austin Convention Center on October 14th and out on October 20th under several clients including Production Support Services, Las Vegas, GES and Freeman AV to name the largest. We need approximately 200 technicians and hands to fill all the calls. Therefore, we are requesting ALL members who are available to work this October and November to please call in and support your union. 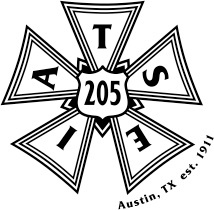 We have crew calls at Paramount theater for Austin Film Fest and several other small jobs that have been added this week as well. Due to the busy nature of these two months, you may report your availability to work in three ways: call into the HH phone number or, email gro.5155571221802est1555712218ai@ll1555712218ahgni1555712218rih1555712218 or, wishlist jobs that you are available to work on Call Steward. (Note, if you wishlist a job, you are reporting that you are available for any position and for the entire job as there is no mechanism in Call Steward to request certain positions or days.) Set your vacation manager for days not available. Whichever way you choose, report your availability for this specific time frame as soon as possible and we will endeavor to put you to work. This entry was posted in 205 News, Business Agent, E-Board News, Employment Opportunities, News and tagged availability, calls, dell world, hiring hall, work on 10/05/2016 by 205admin.